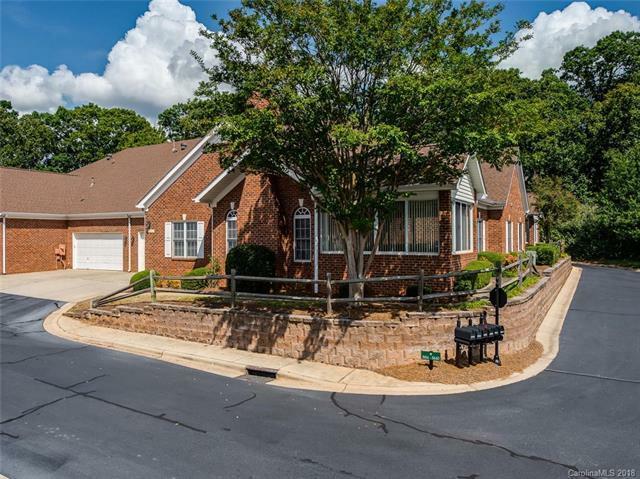 Rare Opportunity to Live in one of Larger Full Brick Transitional Homes in Windsor Oaks. Great Room with Vaulted Ceiling, Fireplace (Gas Logs) opens to Large Sunroom. Formal Dining Room and Private Study w/Pocket Doors. Large Kitchen/Breakfast Room w/Solid Surface Countertops, Breakfast Bar and Desk. Large Master Bedroom w/Deep Tray Ceiling, Walk-in Closet, Bath Features Oversized Double Vanity, Garden Tub and Separate Shower. Guest Bedroom and Full Bath with Tub/Shower. Neutral Colors, Wood Flooring in Great Room, Dining Room, and Kitchen. Garage w/Permanent Steps to Attic. Active Community w/Clubhouse, Pool, Library and Fitness Center. Conveniently Located to Stonecrest and Blakeney w/Excellent Shopping and Restaurants.